Item # 306828 Stash Points: 4,495 (?) This is the number of points you get in The Zumiez Stash for purchasing this item. Stash points are redeemable for exclusive rewards only available to Zumiez Stash members. To redeem your points check out the rewards catalog on thestash.zumiez.com. 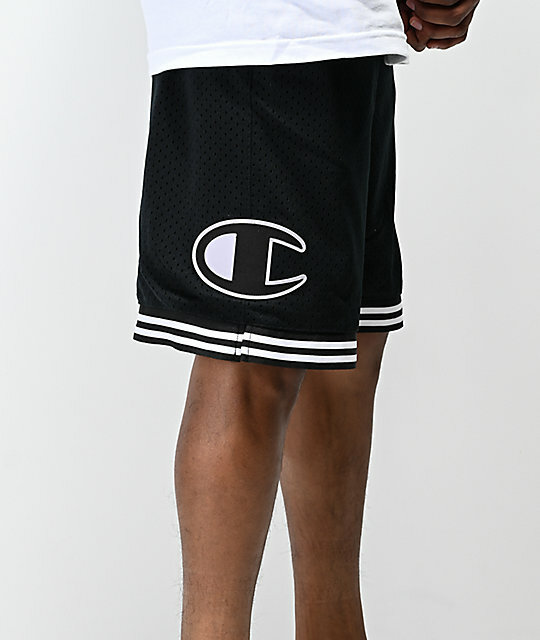 Lead your team on the court or simply flaunt your athleisure-inspired style out in the streets with Champion's Rec Black Basketball Shorts. 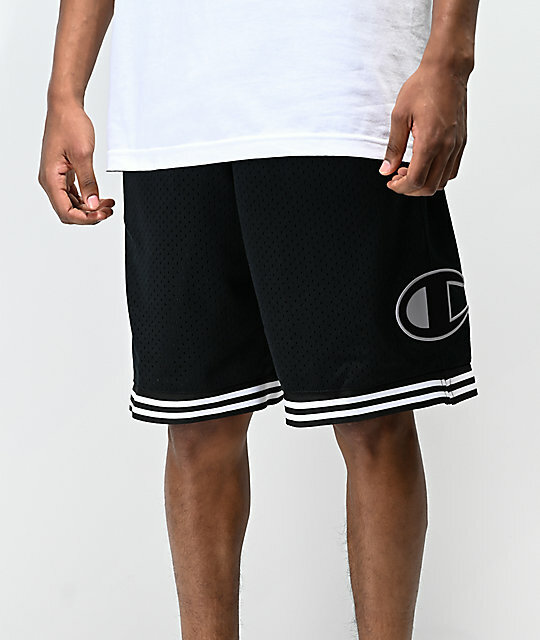 Designed with an overall mesh construction, the Rec Shorts offer wonderful breathability and comes with the convenience of two slash hand pockets. 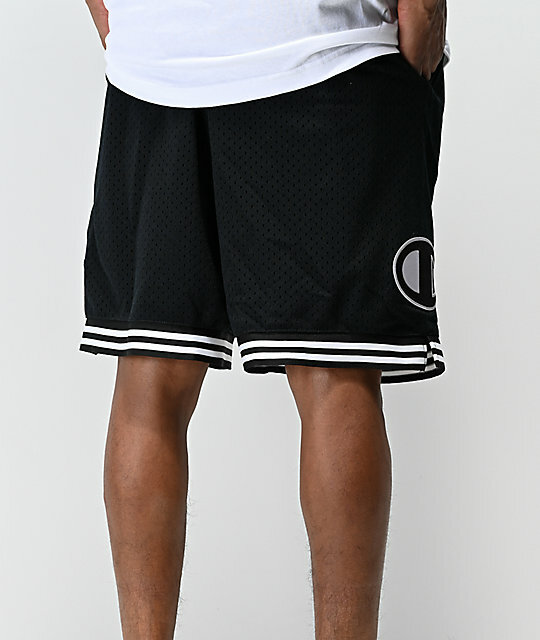 Large brand appliques grace each leg while a black and white striped design are implemented on both he waistband and leg openings to a striking look. 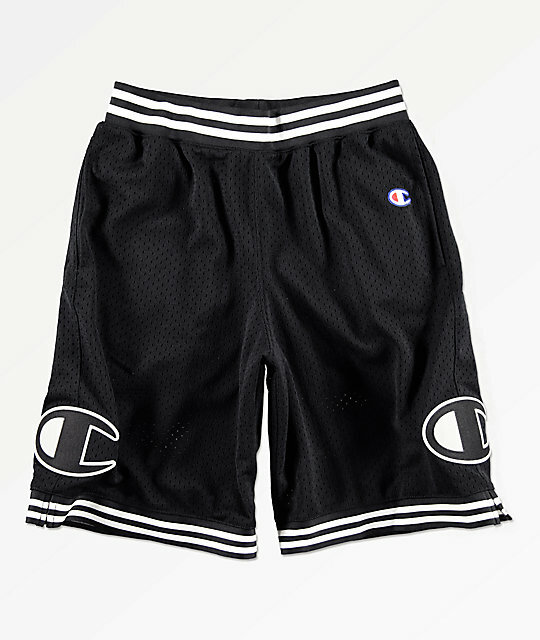 Rec Black Basketball Shorts from Champion. 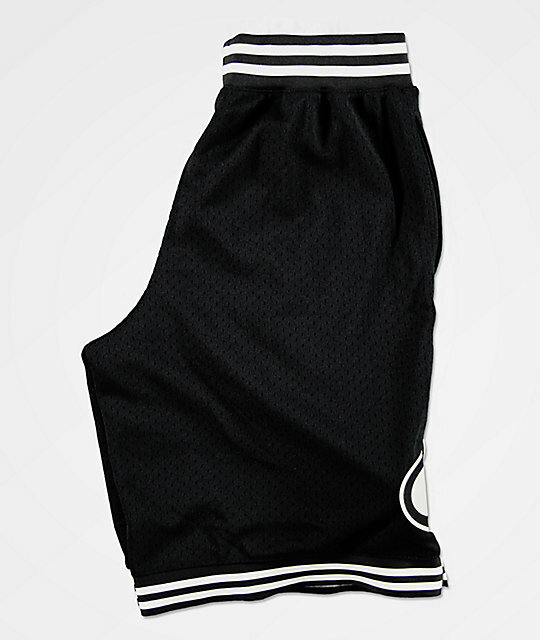 Elastic black and white striped waistband with adjustable drawstring. Large Champion appliques at each leg with smaller logo applique on upper left leg. Black and white striped leg openings.